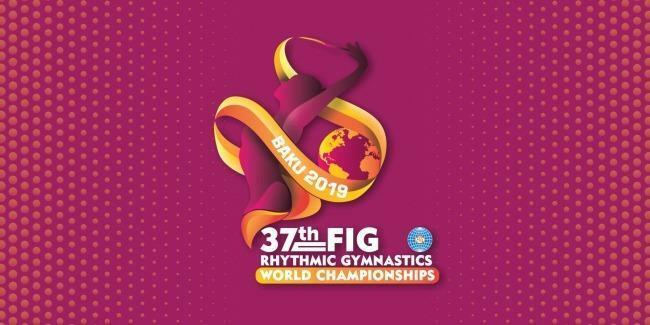 The logo of the 2019 Rhythmic Gymnastics World Championships in Baku has been approved. On the logo, where the grace of a woman is emphasized by the combination of purple, gold and red tones, ribbon was selected as the main tool. The elegance of the ribbon, which is one of the favorite apparatuses of a gymnast, is displayed on the logo, Trend reported. Thus, this year the Azerbaijan Gymnastics Federation will hold three world cups, two European championships and one world championship. Trampoline Gymnastics World Championships will be held on February 16-17. The main feature of the world cups in trampoline and artistic gymnastics as well as the world championship in rhythmic gymnastics is that their winners will get a license for the Tokyo 2020 Olympics.